A right-wing pastor who took part in a ‘laying on of hands’ prayer with President Trump in the Oval Office now says Hollywood is nothing but a bunch of devil-worshippers who drink the blood of children. 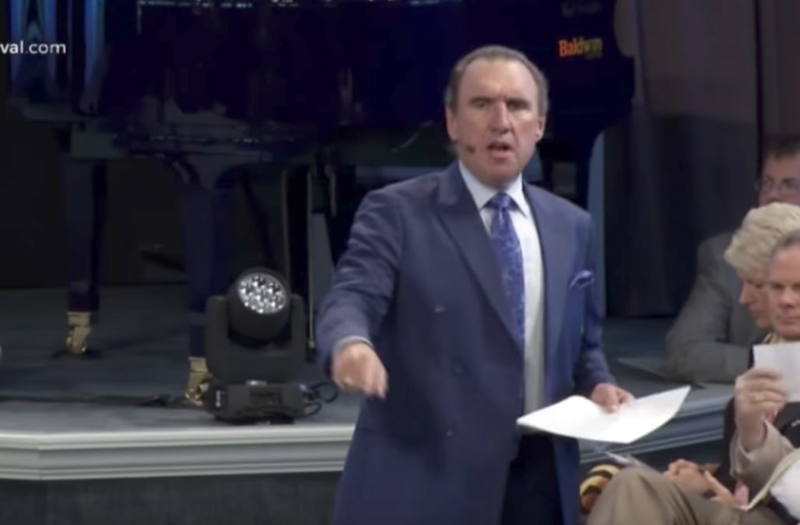 The bizarre remark came as Rodney Howard-Browne of The River at Tampa Bay lashed out at rapper Eminem’s scathing freestyle rap criticizing President Trump. Howard-Browne has become famous for utilizing what he calls “Holy Laughter,” which involves touching his congregation causing them to collapse into loud fits of laughter.